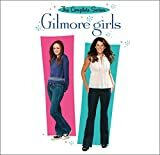 Lorelai Gilmore is a quick-witted single mom who manages a quaint inn in the town of Stars Hollow, Connecticut, and raises a brilliant and equally sharp-tongued daughter named Rory. When Rory has the opportunity to attend the presitigious Chilton School, Lorelai is forced to go to her parents for money, the very same parents who basically cast her out of their lives 14 years earlier when she messed up her charmed life of privilege and class by getting pregnant. Her parents give the tuition money with one condition: each Friday night Lorelai and Rory must come for dinner at their house. Thus begins a new type of relationship for all of them as they learn to navigate the messy yet humorous world of family relationships.